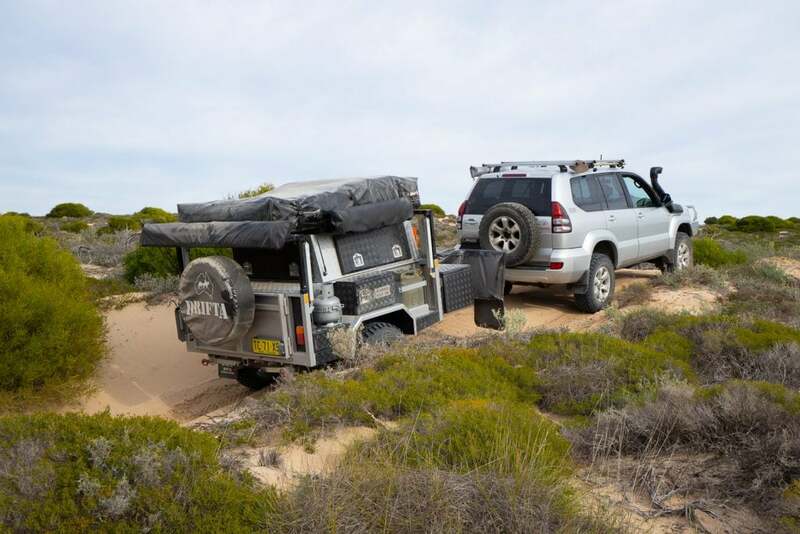 Keeping a 4WD power system all 12V is surely the simplest option, and it’s the most frugal with your batteries too. Unfortunately for us 12V isn’t quite up to the job. 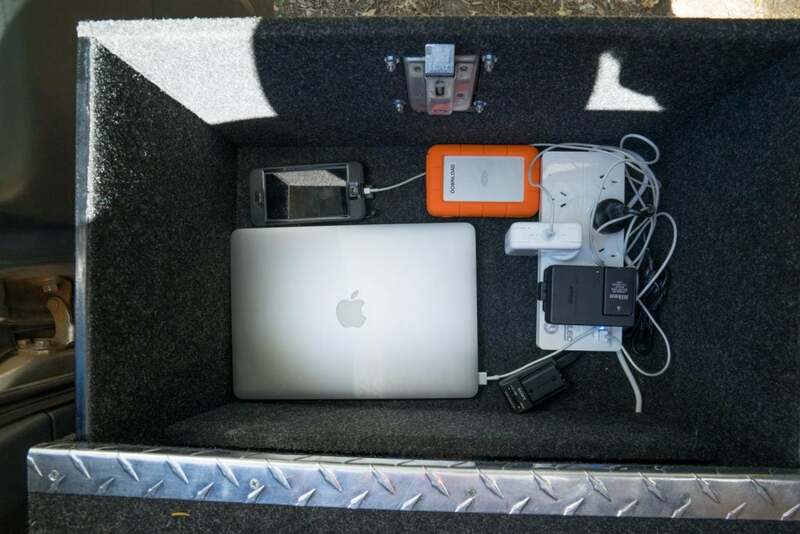 While it can charge our laptops, camera batteries, iPhones, satellite phone and UHF handhelds – it charges them slowly. With 240V these batteries are all charged quickly, like home, which means they are always ready to go. 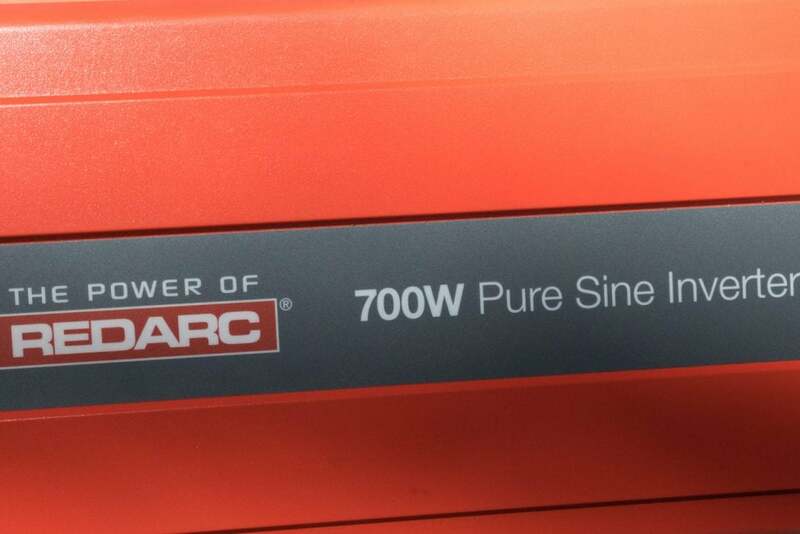 We use a REDARC 700W Pure Sine Inverter. Quality inverters produce pure sine waves which are much safer for valuable electronics. This unit also has overload and short circuit protection as well as a cooling fan that kicks in when needed. 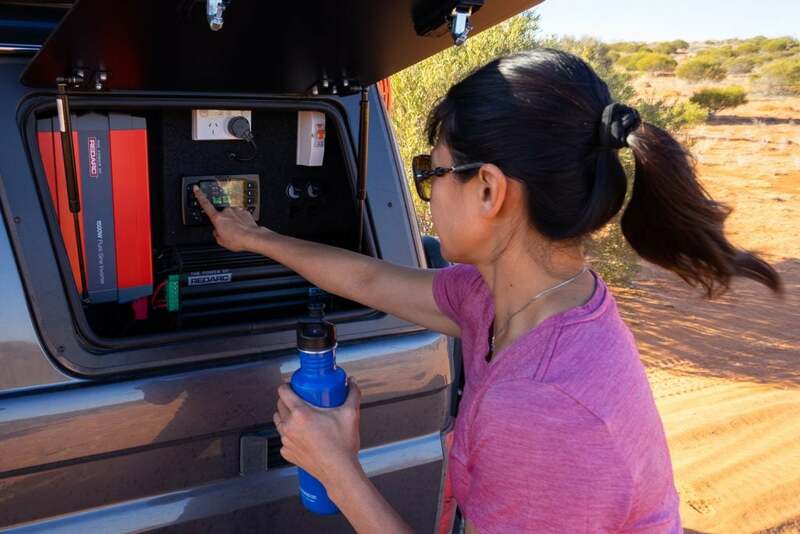 We chose a 700W unit as although our equipment isn’t too power hungry we like to be able to make the most of the time when power is plentiful on the road to charge multiple items at once. 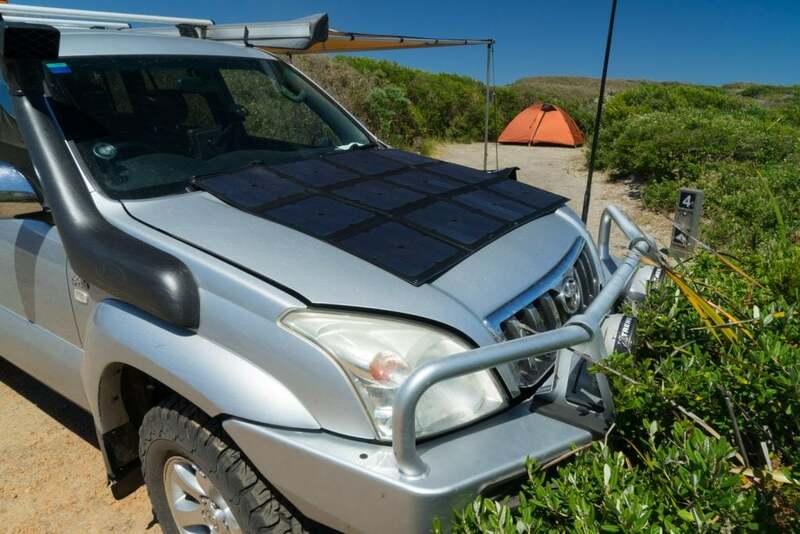 At camp we aim to keep the inverter switched off and our fridge runs happily on 12V – frugally sipping from our second battery which is being topped up by our solar blanket. 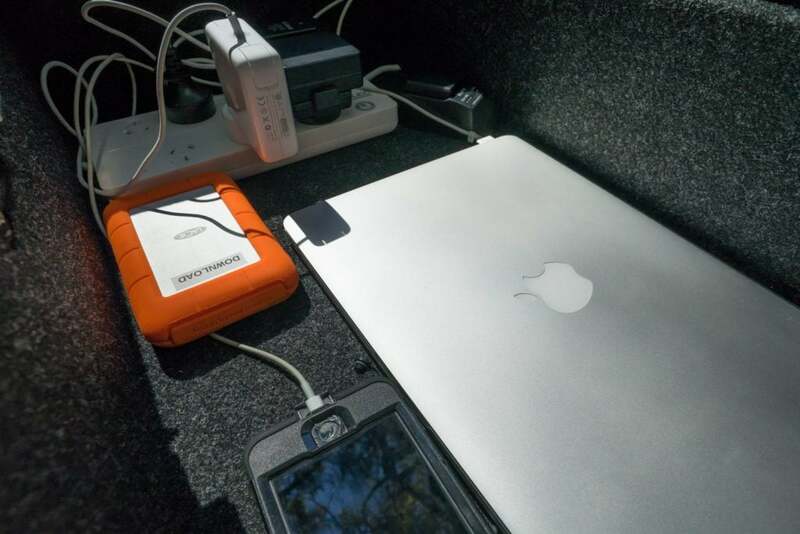 If we need a quick boost to the laptop or a camera battery we aim to do that during the day while the sun is out. 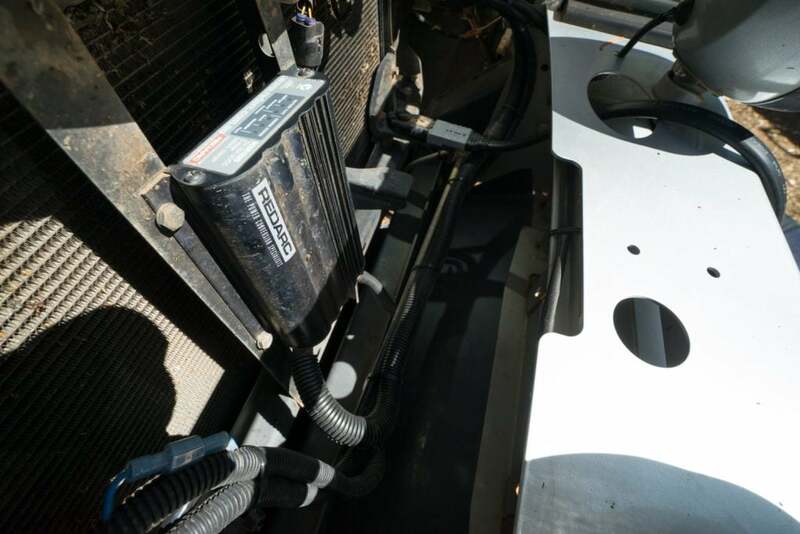 Our inverter is mounted under the drivers seat. It’s out of the way, and we’re told that it’s more efficient to have shorter connecting cables by installing it closer to the supplying battery. From there we have run a 240V extension in to our “camera drawer”. We’ve installed a power board with wide spacing to accept our varied adapters, and our camera battery chargers are fixed in place and the rest are bagged neatly nearby. It’s all really easy and I can quickly trade the flat batteries in my camera bag for fresh ones, and a charged laptop makes backing up a breeze. Inverters work best with a dual battery system. 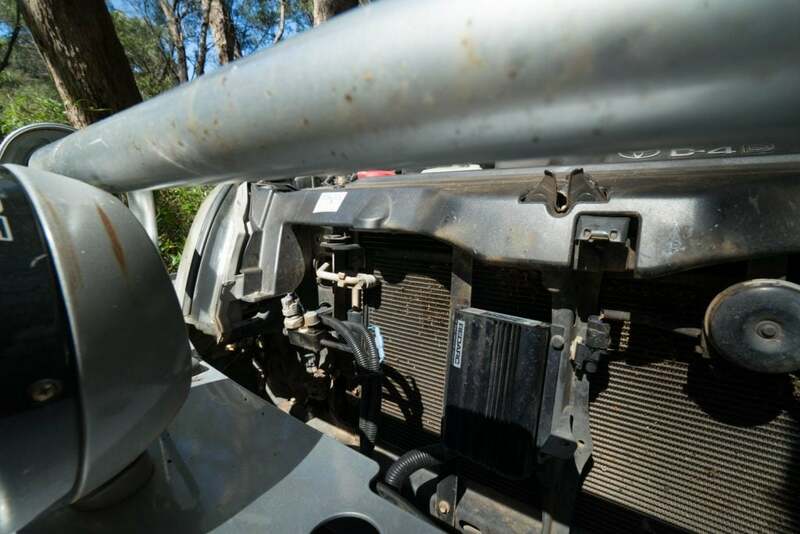 We have a 100AH second battery under the bonnet and a REDARC BCDC1225 manages charging this from either the alternator or our solar blanket. 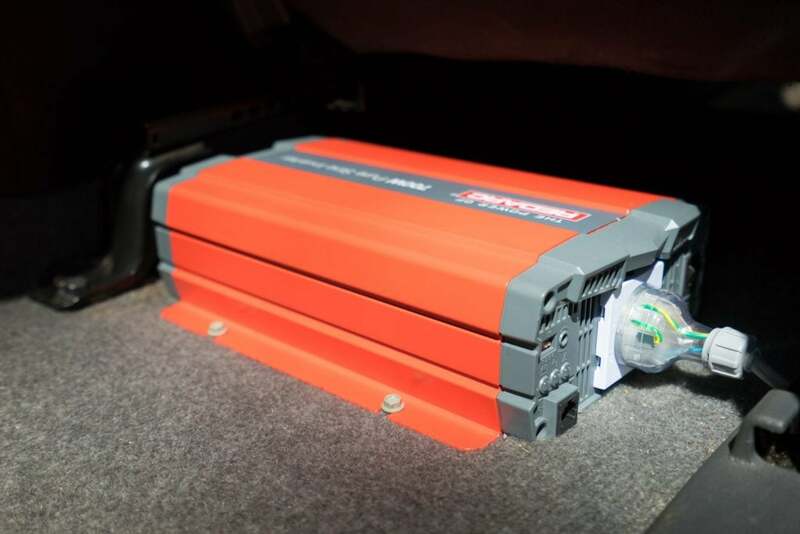 Whatever needs powering inverters can certainly do the job, and for many they will make life on the road that little bit easier.